The rank of Chief Master Sergeant of the Air Force (CMSAF) was established in April 1967, making the service the third of the five branches of the Armed Forces of the United States to create an office of Senior Enlisted Advisor that acts as a direct pipeline to convey the interests and concerns of enlisted Airmen directly to the service’s highest-ranking commanders and department heads. Appointed by the Air Force Chief of Staff, the CMSAF is the highest-ranking enlisted member in the service, although any CMSAF assigned to serve as the Senior Enlisted Advisor to the Chairman of the Joints Chief of Staff would automatically outrank his or her replacement. 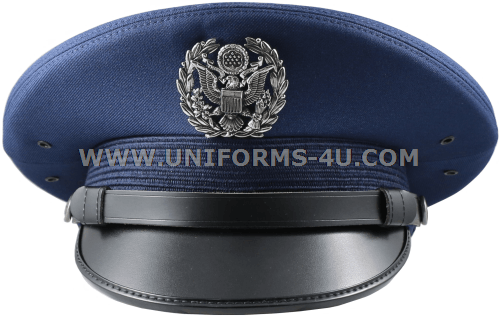 Undoubtedly the most distinctive feature of the service cap worn by the Chief Master Sergeant of the Air Force is the cap insignia, which merges elements of the insignias worn by enlisted Airmen and USAF officers. While the cap insignia of enlisted personnel features the eagle from the Great Seal of the United States within a circle and the eagle used for officers’ is unadorned, the CMSAF’s insignia has the eagle enveloped on the left and right in laurel branches. The same design is used for the cap insignia worn by the CMSAF’s counterparts in the Army; oddly enough, the USMC does not have a cap insignia reflecting the rank of Sergeant Major of the Marine Corps, despite the fact it was the forerunner of similar ranks and positions in all the other military branches. 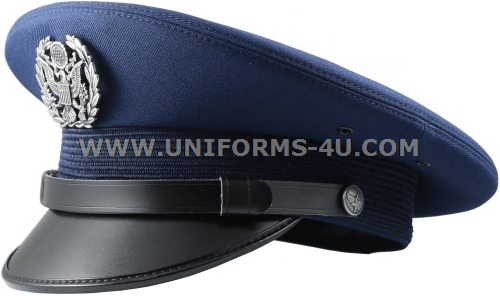 The service cap is authorized for wear by both males and females only with the service dress and service uniforms. 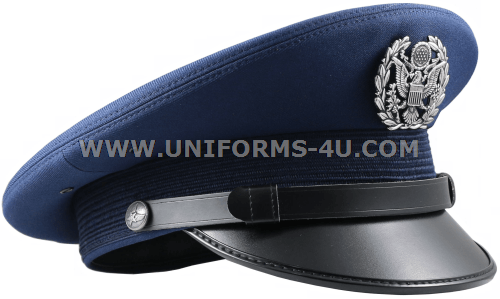 It is referred to as a "Wheel Cap" in AFI 36-2903, Dress and Personal Appearance Of Air Force Personnel, but without explanation as to how the headgear came to earn that appellation.